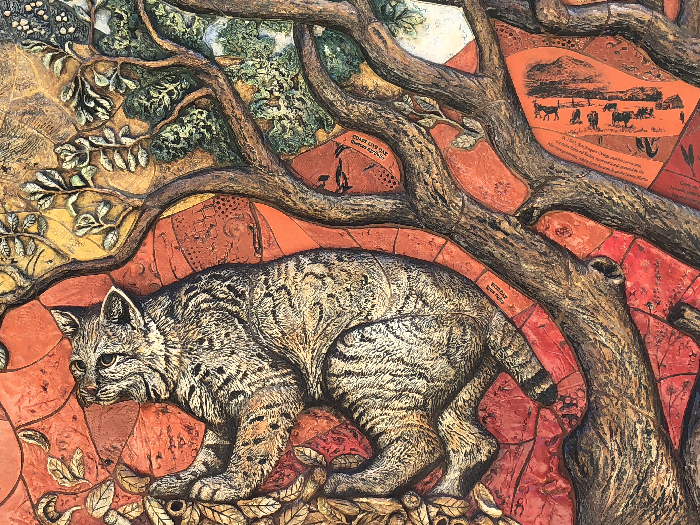 The library’s entry mural celebrates the spirit of Ramona by featuring local flora and fauna and interesting historical images and text. 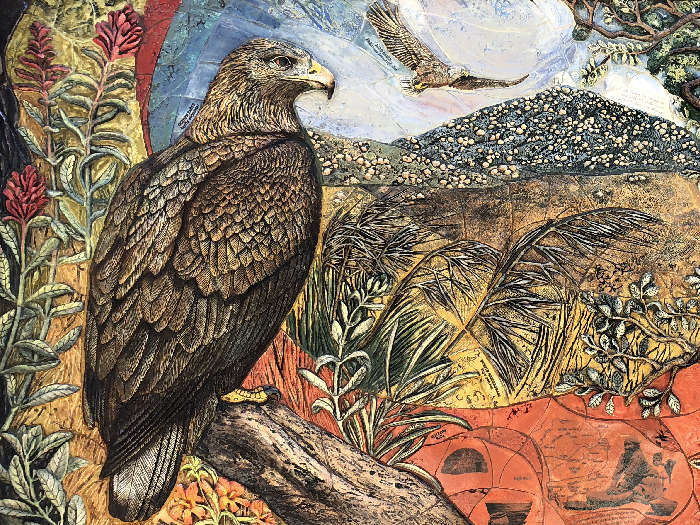 The images of nature are all hand-sculpted and glazed ceramic, with supporting text and photos fired onto tiles using glass decals. 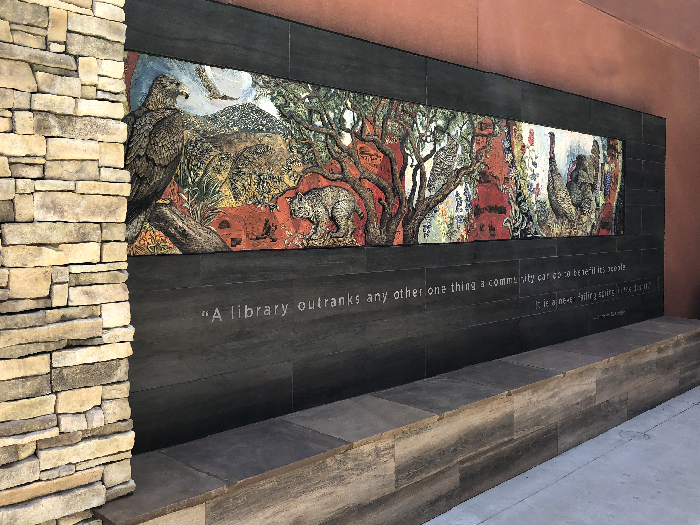 Sandblasted into the surrounding porcelain tile, below the mural, is a quote by Andrew Carnegie, “A library outranks any other one thing a community can do to benefit its people. 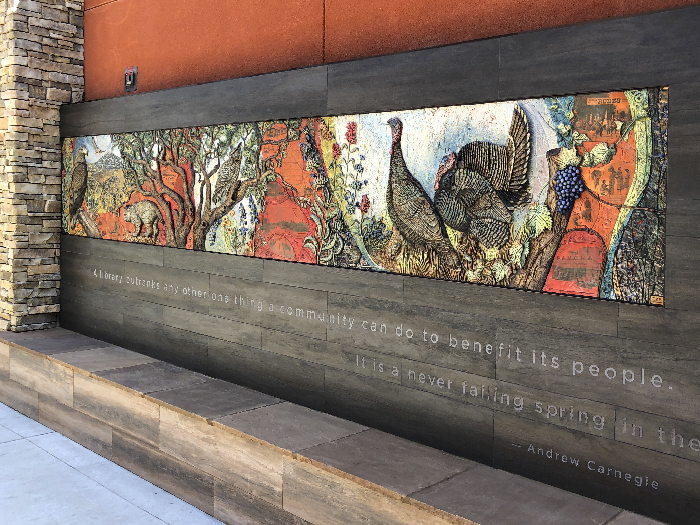 It is a never failing spring in the desert.” A built-in bench finishes the piece, by giving patrons a place to rest outside the library entrance. 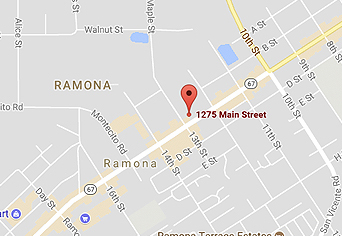 Betsy K. Schulz was commissioned by the Friends of the Ramona Library to create this new sculptural ceramic mural to replace a faded donor mural. 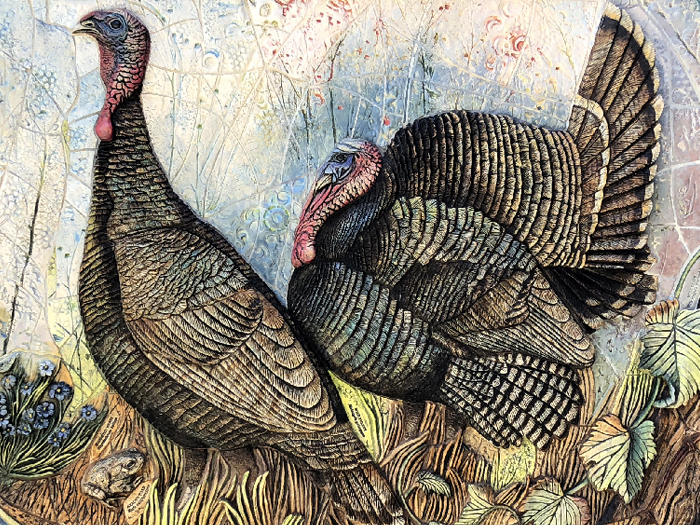 She gives new life to a this prominent library wall.